Before he left Corregidor in March of 1942, MacArthur divided his command among four subordinates, each located at a different part of the islands. 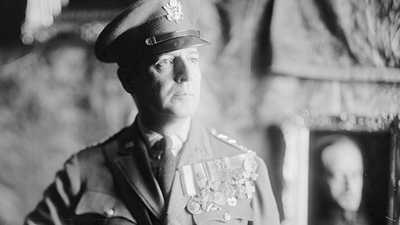 Since each commander would report directly to him, MacArthur hoped this would prolong resistance, since no single commander would have the authority to negotiate a surrender of all the forces in the Philippines. MacArthur envisioned a strong guerrilla resistance developing under his direction, with supplies flowing from the southern islands to Luzon. MacArthur never got a chance to see if this would work. During his harrowing escape to Australia, Marshall and Roosevelt -- unaware of MacArthur's unusual arrangement -- elevated Wainwright to commanding general of all U.S. Forces in the Philippines. After General Edward King surrendered the Luzon Force on April 9, the Japanese stepped up their attacks on Corregidor and by May 6 had put a regiment ashore. Facing annihilation if he did not capitulate, Wainwright surrendered and ordered his commanders in the rest of the Philippines to do the same. One by one they did, and by the end of June, organized resistance in the Philippines had come to an end. But as the Japanese soon found out, this did not bring the end of all resistance. Thousands of Filipino and American soldiers -- some acting individually, some with the encouragement of their commanders -- formed guerrilla units of varying sizes. On Luzon, which held the bulk of the Japanese army in the Philippines, guerrillas were restricted to gathering intelligence and harrassing the Japanese as best they could. Further south, such as on Mindanao where Colonel Wendell Fertig commanded about 38,000 men, guerrilla resistance was strong enough that the Japanese never gained full control over large areas. Wherever they were, however, those in the resistance did all they could to survive and prepare for MacArthur's promised return. The following five men, each of whom appears in the program, describe the struggle in their own words. Read their bio below. Interviewer: In general, what did you do as a resistance fighter? What were you trying to do? Leon Beck: The gathering of intelligence information was the most important thing we could do, in the hopes that it would benefit our army when they did come back to the Philippines. Interviewer: What did you live on when you were a resistance fighter? What were you eating? Beck: We killed carabao's a time or two, and we'd cook it. They shipped kerosene to the Philippines in five gallon tins and you'd nail a handle through there and could carry it and we'd cook in that. Of course we got in trouble over it. A farmer reported we'd killed his carabao and they were going to dock our pay and make us pay for it, but nothing ever came of it. And [we ate] what the Filipinos had. If they had a little bit of rice and it was not enough to feed everyone, they'd mix corn with it, they'd put green beans, eggplant, anything to supplement the rice, to give it more bulk. And at times we ate real good. You'd get into a hacienda where homeowners, the landlords, had not left, and they could trade on credit in the market and place and they'd go in and get chickens or something. We'd have a chicken boiled and eat it with the rice. But rice got very scarce, even before liberation time came. Interviewer: Did you witness how the Japanese were treating resistance the fighters that they caught or Filipinos they thought were collaborating? Did they torture? Beck: Not in my presence. They'd take them somewhere else for that. But, if they came into a barrio, if they had a problem with someone in the barrio, they put a cordon of troops around it and make all the men fall out in the barrio street, in the dirt road. And they'd bring the Filipino in with a sack over his head and eye holes, and whoever he pointed at, he would indicate that they were supporting the guerrillas and they would execute him, right on the spot. They didn't waste any time and then they'd leave. Now, you don't get out there and mingle in close with them, you're off in the brush somewhere. You hear the shots and you go see them, go into the barrio, when the Japanese pull out ...find out what happened. But they sent a big contingent of Filipinos to Japan, put them through military school, brought them back to Luzon and put them in a Philippine Constabulary. And we had more trouble with the Philippine Constabulary than we had with the Japanese. They were a real thorn in the side because you couldn't distinguish them from the clothing they wore or their appearance, and if they saw you, they'd report you. The next thing you know, there's a Japanese raid on that barrio. As one would imagine, participation in the resistance movement carried with it a severe penalty, for soldiers and civilians alike. Interviewer: What were some of the atrocities that you heard about or witnessed? Edwin Ramsey: Well, when somebody was accused of being a collaborator with the Americans, they were taken in by the Kempetai, which is their SS -- Kempetai is literally, the military police, but they were the ones who actually did most of the torturing. They would be given all kinds of torture in order to get from them any information that they might have, with regard to the guerrilla forces, which was a big thorn in their side. Sometimes they would tie their arms together behind them and hang them up off of the ground, thus dislocating and breaking the arms and shoulders. They would pull out their fingers, nails. The worst of the lot was when they would put a hose in the mouth, run it down into the stomach, turn it, fill your stomach with water and then stomp on your stomach, which would rupture the insides. Many people died from that. Some people, if it weren't too full, lived through it, and some of my people got out and reported that to me, amongst other things. I, myself, fortunately never had to undergo that, and I was never close enough to observe them doing this. But I am confident that it did go on, because these people would report back to me. Interviewer: What kind of punishment, what did they do? Gustavo Ingles: Oh, they started with punching us in the body. For me ...because of the punishment I always received in the academy, I developed a strong stomach, when they socked me in the stomach. And I pretend, of course, that I felt very bad about it, but so long as I can withstand it, I withstand it. Then, when they are through punching you, they started tying you, and if you ever [admit] you are committing any campaign or raid against a Japanese detachment, that's where you are subjected to further punishment, like water cure, electrocution, hanging by the thumbs with your toes barely touching the ground and then swinging you left and right until you are set. Interviewer: Did they do that to you? Did they hang you by your thumbs? Ingles: Yeah. Sometimes above. Sometimes at the back. I don't mind being hung, but when they swing you, particularly when your thumb is hanging, but your back ...your joints at the shoulder. In fact, up to now, [I still] have difficulty. 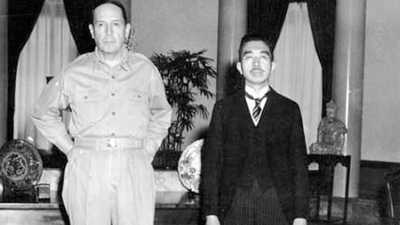 Although they were essentially on their own, those in the guerrilla movement did all they could to stay in touch with MacArthur's headquarters throughout the war. Communication and supplies were severely limited, but what little came through proved vital. Interviewer: And when you were a guerrilla, were you in touch with MacArthur? Were you aware that he was planning to come back? Ingles: Well, it was like this. Long before, when we went up to the hills, we had to put up some sort of different radio system, and the first ones were complete failures. So ...we made contact with General MacArthur's headquarters through the unit on Panay Island, because they were already well established ...And we had been sending them intelligence reports from Luzon by couriers. That's how we were able to maintain close contact with them. Interviewer: Did you think MacArthur was coming back? Ingles: That was our only hope during the time. Interviewer: What was your only hope? Edwin Ramsey: ...We were in a constant state of hoping. We were receiving what information we had by submarine, mostly. And the intelligence units that were being sent in from MacArthur, with radios and so on, were coming up by submarine. And unfortunately, they had a very difficult time to get to me, because I was in the central Luzon, which was the reserve area for the Japanese Southwest Pacific Forces. So, there was never less than 150,000 - 200,000 Japanese in my area, up to three-quarters of a million. So that, as soon as we got our radios, this was like a life line, we knew that then, it was only a matter of a relatively short time before they would come back in. And, this was a godsend as far as morale was concerned. They also sent in with us chocolate bars, and on the outside was the American and Filipino flags crossed, and it says, "I shall return - MacArthur." And that was the greatest boon to morale, and we would give these to the Filipinos. Unfortunately, if they were caught with it, they would be killed. But, they didn't mind it. Interviewer: Did you have a sense that MacArthur was going to come back? Leon Beck: Oh, we always thought so. It was only a question of time. We knew that we would overwhelm the Japanese some day. I didn't think it was going to ever take that long, but I never lost hope. If I had, I'd probably surrendered, like all the rest of them did. Interviewer: You were living on hope? Beck: Hmm -- hopes, dreams, rumors and, I never lost hope, no. I always thought enough of America that some day our army would be back there to get us. Interviewer: What if they hadn't come back and they bypassed the Philippines? What would you have done? Beck: Well, the thought never entered my mind that they would bypass it. MacArthur said, "I shall return" and I thought that was the truth. And when he landed on Leyte, the light came on that he's back in the Philippines and it's only a question of time until they get to us. 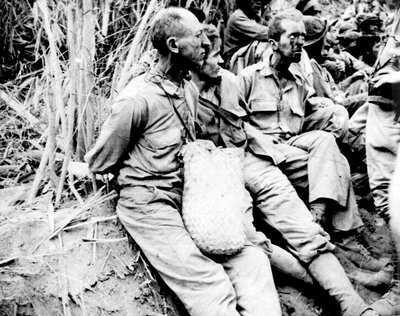 Although statistics never tell the whole story, this one goes a long way in describing what life was like for POWs in the Philippines: two out of every three soldiers alive at the time of the surrender did not live to see the end of the war. Although it's impossible to find exact figures, roughly half of the 24,000 Americans and nearly three-quarters of the 64,000 Filipino troops died during the Japanese occupation. Most of them died while POWs in one of the many wretched prison camps spread throughout the Philippines and in labor camps in Japan. Interviewer: What was life like at the camp? Richard Gordon: The camp [Camp O'Donnell, on Luzon] had two water lines for, in our case, 9300 men. Water became a very scarce commodity. And getting on a water line was quite a feat. They would shut it off after a certain length of time. So, many men went without water. Water was brought in from a creek nearby for cooking purposes. But the water itself in the camp, you were desperate for. You couldn't get it. You had some people would crash the line and fill up cans for their friends and ...for the patients in the hospital. And so those who just followed the order and lined up for the water, sometimes just didn't get any water, period. For days. Water was a scarce commodity in O'Donnell. Interviewer: Why didn't the Japanese treat you better? Gordon: Why didn't they treat us better? I wish I could answer for the Japanese. I think they were totally unprepared for what they had to handle.... Their outlook of a prisoner of war was that they held you in nothing but contempt. If you surrendered, you were dishonorable. So if you were dishonorable, why should we worry about you or take care of you? You don't deserve anything better than what we're giving you. And so the Japanese philosophy, we were never prisoners of war initially. We were captives. A big, fine distinction they drew there. You were a captive of the Japanese army. They could do with you what they want. They didn't have to abide by any rules because there were no rules. There is a common misconception regarding the experiences of two different groups of American POWs. As described above, those captured with the bulk of the Luzon Force on Bataan -- already in terrible condition after the long siege -- were then subjected to the aptly named Death March, which ended at Camp O'Donnell. In early June, most of them were then transferred to the camp at Cabanatuan, where they were joined by the men from Corregidor, which had surrendered on May 7. Although hardly in great shape themselves, the men from Corregidor had enjoyed better rations and avoided the Death March, putting them in a better position to withstand the rigors of the camps. The relative survival rates of the two groups bear this out. Richard Gordon: I was left behind at O'Donnell when they moved them, the main body of prisoners from there, on the 6th of June 1942, to another camp called Cabanatuan. And I was left behind on the burial detail. To bury those sick, those expected to die -- they knew wouldn't live. And in about a month's time, our job was finished up. And then on the 5th of July of 1942, I was taken to Cabanatuan as well. And that's when we would run into Corregidor prisoners for the very first time. This belief that's been sworn by some historians that Corregidor made the [Death] March [is] of course totally inaccurate. That's where I first met with Corregidor people. And they were in pretty good shape. They were not diseased when they were captured, they hadn't suffered the March, they hadn't suffered the starvation that Bataan had. So they were pretty good, health- wise, good condition in that regard. And that's where we met them, as I say. Interviewer: Were the prison guards generally pretty good or were they awful? Gordon: There are many, many stories could be told about the guards in both those camps, of being brutal and mistreating. If a prisoner escaped ...I can recall the second camp, Cabanatuan, uh, I thought it was a Filipino. It was an American Indian. They beheaded the individual. They put his head on a pole and they walked up and down the main road in the camp so we could all see what happened to an escaped prisoner. If you escaped in Cabanatuan, they took out nine men from your squad and shot all nine of them. And they did that. So as a result, we had people agreeing not to escape because it would mean the lives of other people. We had squads made up of ten people and I've got-- well, I remember people signing certificates they would not escape. And if they did, they'd be subject to court martial after the war. Because the Japanese would shoot the other nine. So your responsibility as a soldier to escape was cut off in a hurry unless you wanted to take the lives of somebody else with you. Interviewer: What was life like in the prisoner of war camp? If you're caught trying to escape, then you're a dead man. Like, for example, one of the places where people would try to escape is, they had burial detail every day, where dead prisoners were picked up by a burial detail and taken to a place in the concentration camp for the burial. And many of them, while they went there, at a certain time they had to stop because they had to come back the next day, there were no burials at night. But many of them tried to go that way and see if they could skip out among those who are burying so that at night they could escape. But, unfortunately, many of them didn't make it. Gustavo Ingles: Well, our ration [was] given on the cover of the meat can, so if you put rice there and then you use a piece of wood to keep it flat, that was our ration.... So, you can find worms together with the boiled rice. At first we were throwing that away until one of the American prisoners found out that we were throwing it away. He said, "Give it to us because we need it." At first we didn't mind, and he told us that, "We can't understand it, why you're throwing it away, that is protein." So, I told him, "Now that we know, we won't give it to you any more...." It was no more about the chemistry, about what to eat, which we didn't understand by that time. What we understand is only what entered the mouth, that's it's purely rice. Sometimes they put salt so that it would taste different. Leon Beck: Mr. Beck served as a Private in the 31st Infantry Batallion, U.S. Army. He was a POW for fourteen days until he escaped from the Death March. He then fought against the Japanese with several different guerrilla outfits until American forces returned to Luzon in January, 1945. Alfred X. Burgos: Along with his fellow ROTC students at university in Manila, Mr. Burgos mustered into the Philippine Army when the war broke out. He survived the Death March and was held at Camp O'Donnell until September, 1942, when the Japanese released most of their Filipino prisoners. Mr. Burgos then participated in the resistance movement until the Americans returned. He rose to the rank of Colonel after the war. Richard M. Gordon: Mr. Gordon enlisted as a Corporal in the 31st Infantry in 1940. Taken prisoner with the fall of Bataan, he, too, survived the Death March, then was held at Camp O'Donnell before being moved to Cabanatuan. In November of 1942, he was sent to Japan, where he worked in a labor camp in Nagano Prefecture until the war was over. Now a retired Major, Mr. Gordon organizes a group called The Battling of Bataan. Gustavo C. Ingles: Mr. Ingles, then in his first year at the Philippine Military Academy, escaped into the hills and joined the guerrilla movement in April of 1942. Captured in 1943, he suffered as a prisoner of war for over a year before escaping and rejoining the resistance. Mr. Ingles, who eventually became a Colonel in the Philippine Army, is the author of "Memories of Pain," a book about his wartime experiences. Edwin P. Ramsey: As an officer in the 26th Cavalry, Lieutenant Ramsey participated in the last mounted cavalry charge in U.S. military history, in January of 1942. After Bataan fell, Mr. Ramsey made his way into central Luzon, where he helped organize the Luzon Guerrilla Force under Colonel Claude Thorpe, and fought the Japanese until liberation nearly three years later. Mr. Ramsey left the army in 1946 with the rank of Lieutenant Colonel. His book "Lieutenant Ramsey's War" chronicles his experience in the Philippines. 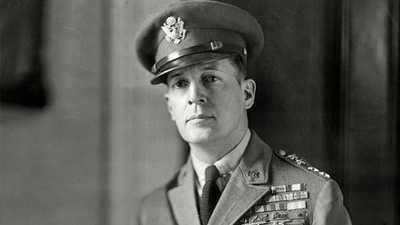 One of the most controversial moments in the controversial life of Douglas MacArthur came in early 1942, when he received $500,000 from the Philippine government. On April 25, 1951, the Senate unanimously approved a resolution calling for its Foreign Relations and Armed Services committees to "conduct an inquiry into the military situation in the Far East and the facts surrounding the relief" of General MacArthur.